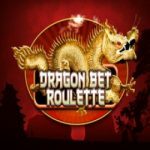 Bagatelle Roulette is a bookies roulette type game with a different, less predictable animated layout but is still effectively a roulette game, with the same odds, bets and potential outcomes as traditional bookies roulette. Found in William Hill and Betfred bookies, Bagatelle Roulette is like the smaller, but far better little brother of 100/1 Bagatelle. Simply choose your chip values, then place your bets on any of the 37 positions on the betting table, from 0 to 36. 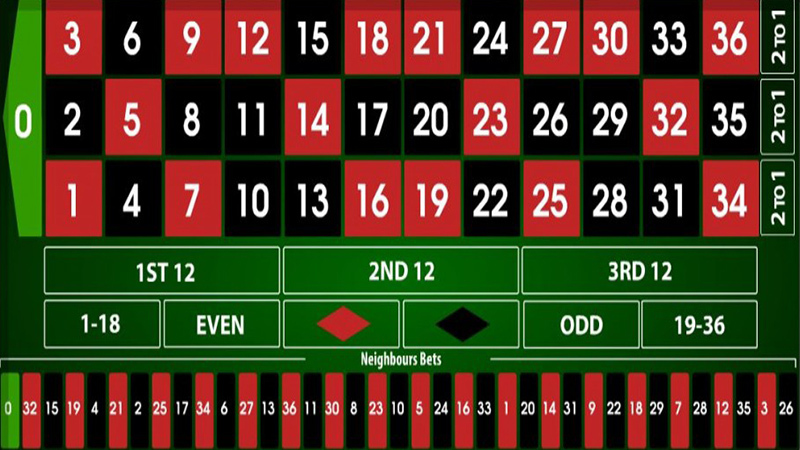 The betting layout and colours are identical to standard roulette, there are even the same outside, column and street bets available, all paying the odds you would recognise from other roulette games. 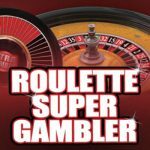 As this is a bookies game, Bagatelle roulette bets are limited to a maximum win of £500 per game and £50 or £100 bet limit per game. Although the outcome of this FOBT game is essentially the same as bookies roulette, the way the game is animated and displays the winning outcome is less predictable due to the way the ball falls between the pins and bounces around. This makes it more appealing to those who do not like to know where the ball will end up, such as on the standard FOBT roulette games, which is easy to tell as there are so few animations per number, probably just two. My personal betting preference on Bagatelle Roulette is covering half of the numbers, usually 0 down to black 10, or the opposite half; 0 down to red 5. I then place some large bets on a few numbers (11, 27 and 34), with the rest fairly evenly spread out. This type of bet is easy to place as there is a neighbours betting grid at the bottom of the screen. Once you are happy with the bet, press the bet button to launch the animated ball. The numbers will begin to rotate as the ball bounces its way through the pins before landing at the bottom of the screen. Any winning bets are then paid, with the option of repeat the bet instantly available. Any winning bets can also be gambled, however I have never liked the odds on this gamble and personally I would avoid it. Treble your winnings, double your winnings, lose half, or lose it all are the potential outcomes of the gamble. If you don’t want to gamble, simply collect your winnings. Bet on your favourite roulette numbers, then fire the ball to find the outcome. A new way to play bookies roulette. Pays the same odds (36/1).